Located in the heart of the south end of Philadelphia, Carmana Designs was founded in 1981 by the husband-and-wife team of Carmen and Anna Maria Vona. 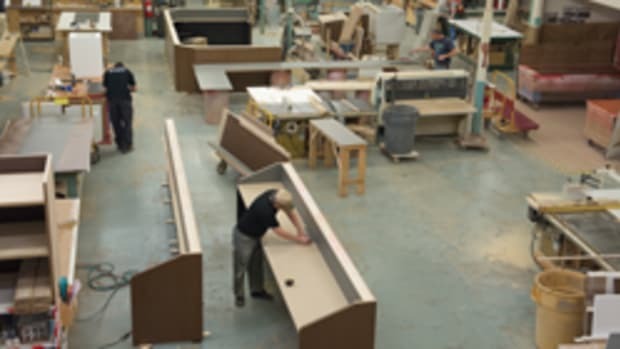 The shop is a turnkey operation that designs, fabricates, finishes and installs custom cabinetry for residential and commercial clients. 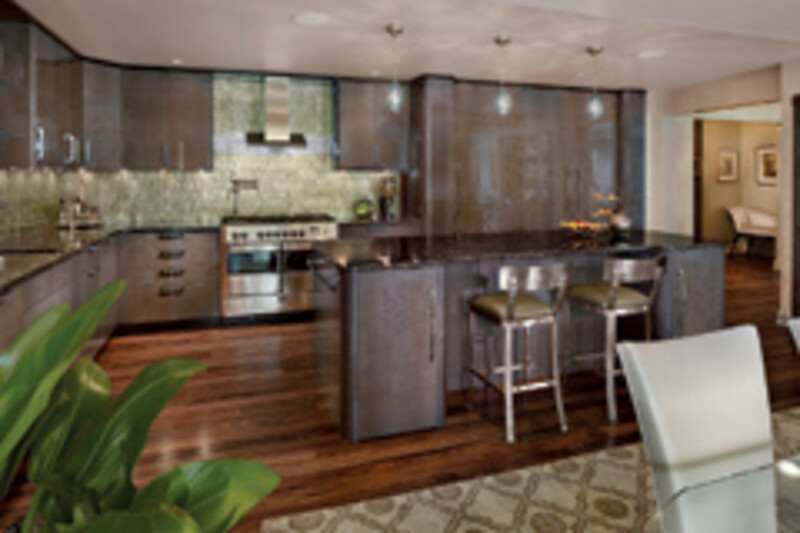 Carmen is both a versatile designer and cabinetmaker who has won several national awards for high-end custom kitchens. Anna Maria is also an interior designer and puts the finishing touches on Carmen’s work. Talents aside, the key to their long run is having another source of income. “In today’s climate, most shops need to find out how to make alternate income. I started doing that when I was 20 years old with the rental properties, but it’s never too late to start that,” says Carmen. It all began in 1979 with Carmen when he was 21, shortly after losing both his mother and father to illnesses. He was devastated and quickly became disillusioned with religion and school. Carmen and Anna Maria Vona OWNERS OF: Carmana Designs LOCATION: Philadelphia SHOP SIZE: 23,000 sq. 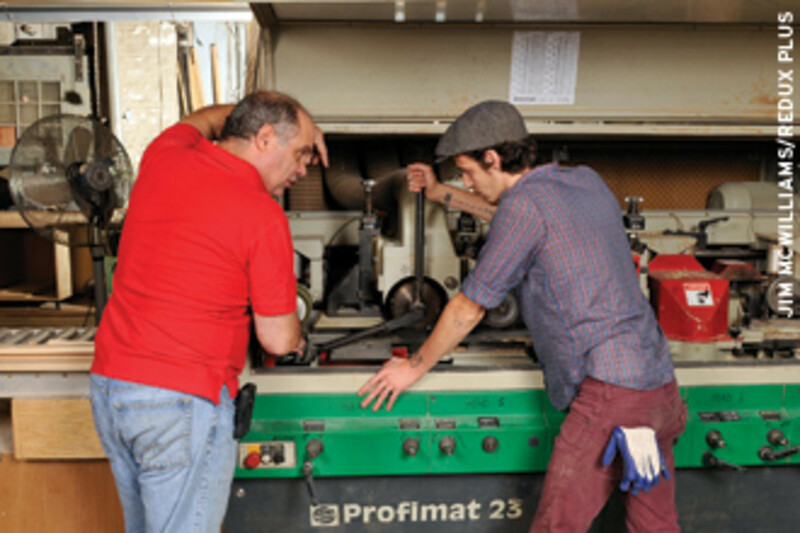 ft. EMPLOYEES: 2 ABOUT: The shop combines creativity and commitment to produce quality custom cabinetry, kitchens and interior furnishings for its diverse clientele located throughout metropolitan Philadelphia. It was time for him to move in a different direction. 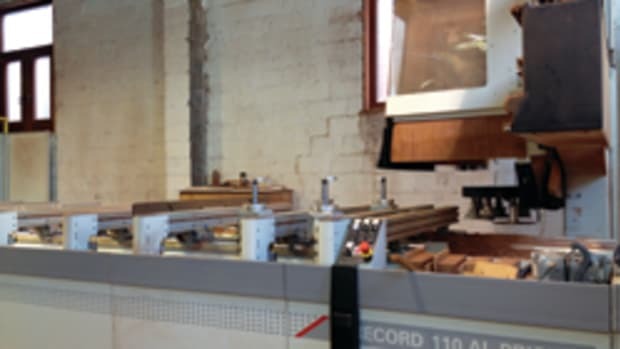 Anna Maria’s godfather, Luigi Sammarone, an Italian cabinetmaker and well-known in Philadelphia design circles, was calling around to his friends and family asking them if they knew of someone interested in learning the cabinetmaking trade. Carmen joined Luigi and the two formed a bond as the master craftsman taught the novice all he needed to know. After four years, Carmen was sure that he’d mastered every aspect of cabinetmaking and left to start his own shop. It wasn’t far from Luigi’s shop and this didn’t please the teacher, though they eventually mended their friendship. Carmen gave the business his all, working seven days a week. But his youth was a hindrance. 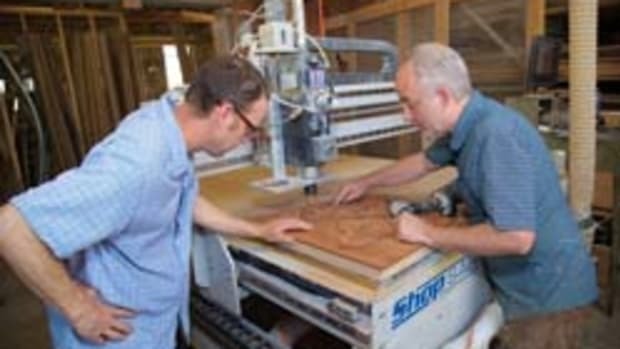 “My first clients did not trust or believe I had the talent of an Old World craftsman. They did not take me seriously,” he says. 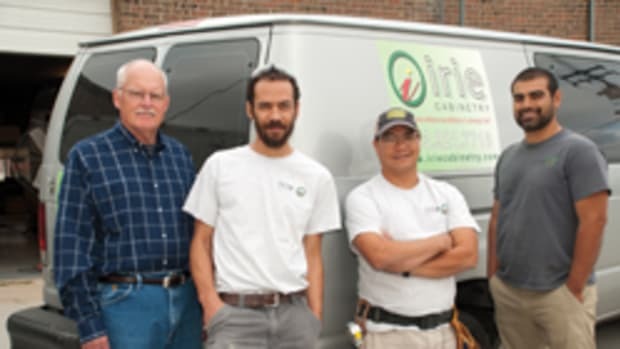 After a frustratingly slow start in the early 1980s, the company began to grow and prosper during the next decade until it gained national exposure. Repeat business and referrals generate most of the work, which is about a 50-50 split between residential and commercial. “Before the recession, 80 percent of our work was residential,” says Carmen. “We’d like to do more residential, but you need a mix of both. With residential, we can make more money, but there is less work. With commercial, you have to do a lot to keep the shop busy. 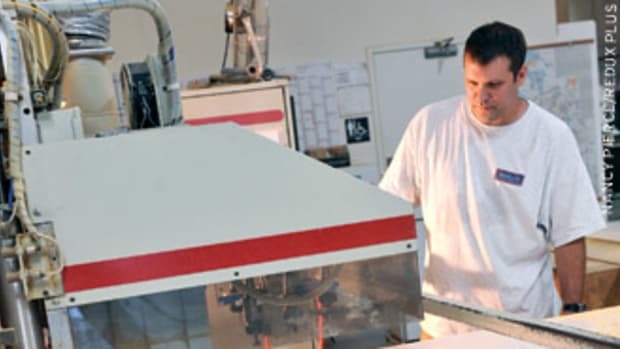 By the late 1990s, the Vonas had a 9,000-sq.-ft. shop filled with production machinery and eight employees. They moved to a bigger shop in 2000 at the former Abbotts Alderney Dairies complex. 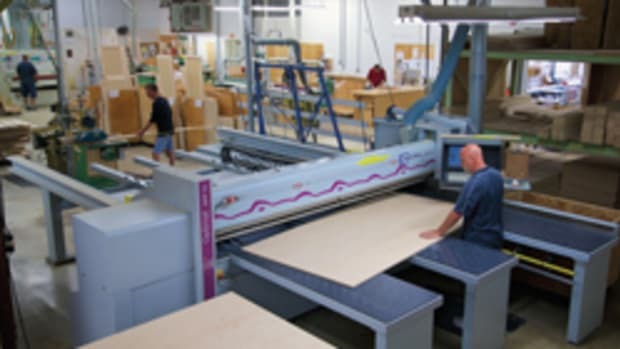 The 23,000-sq.-ft. space is filled with more than $2 million worth of machinery, including a SCMI panel saw, wide belt sander and gang rip saw;, QuickWood Pro sander; Ritter clamp table; Sand Pro (SandMan Products) sanding table; Mikron Multi-Moulder; Scheer veneer saw; Hoffmann door machine; Gannomat drilling machine; Brandt edgebander; Ferguson cold press; Weinig planer; Donaldson Torit dust hopper and Techno-Isel CNC router. It also features a double downdraft paint booth. 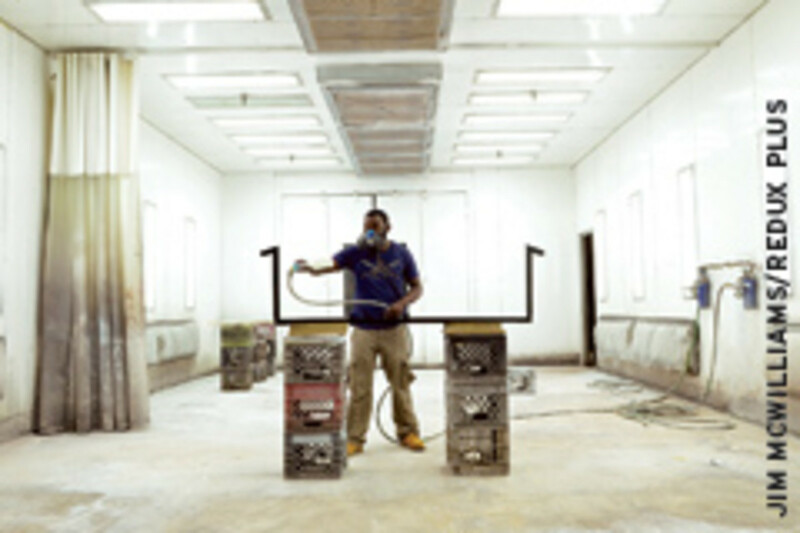 The shop mixes custom stains and sprays high-gloss polyester and polyurethane finishes. Carmen strives to communicate effectively with clients when coordinating projects, keeping them fully informed through design and final installation. Requests often start out with a simple kitchen and then expand to include entertainment centers, bars, home offices and libraries. 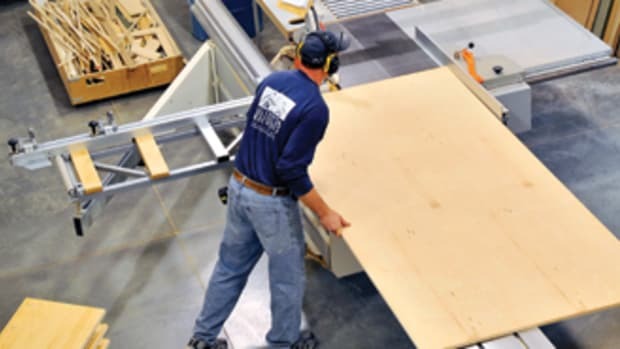 The shop partners with other companies to include stair and millwork packages. If a client chooses another shop, Carmen charges $1,500 for the use of his designs. Style preferences have changed from traditional to contemporary, Carmen says. “Green construction is much more contemporary and we see a lot of that. Some people still want traditional. We do whatever anyone wants. During the last three years, the shop’s backlog has dwindled from 18 to about six months. 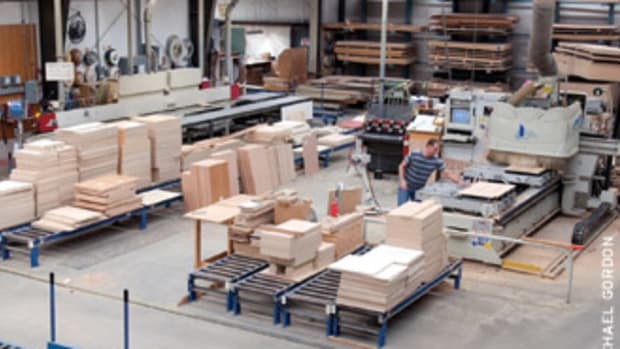 Before the recession, the shop completed about 150 jobs a year and now averages about 36. Carmen refuses to take a job that won’t turn a profit. That’s just good business sense, he says. 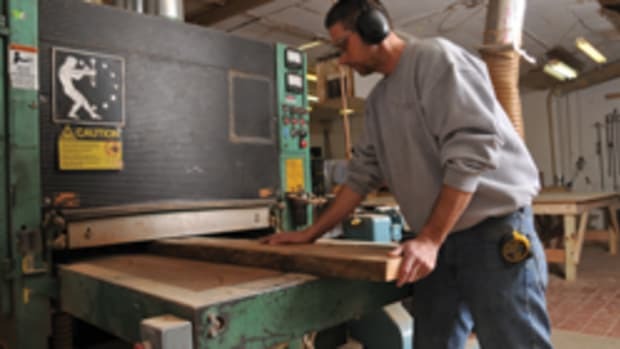 The truth is, Carmen could close the shop tomorrow and live comfortably, but he enjoys woodworking too much. Carmen especially enjoys teaching young people who wouldn’t otherwise have a chance to learn trade skills. He believes he can show them a career path just as Luigi did for him. He is bothered that many bright young men come to his shop with a technical degree, but can’t even read a tape measure. He says he will probably sell the business when he’s ready to retire. Otherwise, he will shut down the operation and rent the space. Right now, he would prefer to expand operations, if possible. “I would love to go back to more employees, but what comes first? The chicken or the egg? Do you hire more employees in anticipation of getting more work and then strap yourself of all of your available cash to pay guys while you’re trying to bring in more work or try to bring in the work first. Contact: Carmana Designs, 1715-19 McKean St. at Colorado Court, Philadelphia, PA 19145. Tel: 215-952-0133 www.carmanadesigns.com.